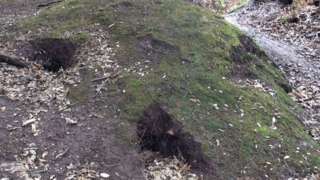 The 5,000-year-old Jersey stone monument was also damaged with a trowel, conservationists say. European Union finance ministers will finalise their 2019 tax blacklist at a meeting in Brussels today. Jersey, Guernsey and the Isle of Man will not be on the 2019 list, according to analysis from the charity Oxfam. Also avoiding the blacklist are the British overseas territories of Bermuda, The British Virgin Islands and the Bahamas, along with Panama and Hong Kong, according to the analysis based on the EU’s screening criteria. In 2018, the Crown dependencies were warned by the EU they needed to makes changes to their tax laws, or face blacklisting in 2019. These changes seek to stop companies with little physical presence artificially routing their profits to the islands, where they go largely untaxed. The dependencies’ expected omission from both the so-called grey and blacklists is part of a move to “whitewash some of the world’s worst tax havens”, Oxfam said in its report. The islands have insisted they are co-operative on tax matters and the law changes made before the end of 2018 address any EU concerns. He told reporters he expected there to be 15 jurisdictions on the 2019 blacklist, and 34 on the grey list, contradicting Oxfam’s analysis. 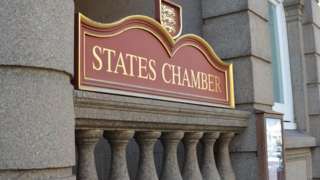 The release of today’s lists comes as MPs seek greater transparency over company ownership in Jersey, Guernsey and the Isle of Man, with a vote expected before Britain leaves the EU. Elderly residents at St Ewold's care home in St Helier will be moved out of their rooms for up to eight weeks during an £8m renovation to the site. Rooms will be refitted with new showers, wash basins and radiators. Work won't start for at least another year following the addition of a new dementia care wing at the site. Live coverage of the States of Jersey meeting from BBC Radio Jersey. The president of Guernsey's education committee has said he's "very pleased" after making savings of £1.8m last year. Deputy Matt Fallaize said his department is planning not to overspend at all this year. He wants it to be done through "sustainable efficiency savings" rather than "arbitrarily cutting services", and warned that "considerable additional savings" will need to be made in the future. People as young as 18 will be able to stand for election in Guernsey if deputies agree to changes next month. It's just one of the proposals included in a policy letter from the States Assembly and Constitution Committee (SACC). Since the island-wide voting referendum five months ago, SACC has been working on plans to make the electoral changes a reality at next year's election. Members will consider a policy letter on the issue in April. A man who had a cardiac arrest has spoken of his gratitude for the quick-thinking members of the public who saved his life. Rick Denton, 57, collapsed in the cafe in Les Cotils, St Peter Port, Guernsey last month. Two members of the public, Lynnette Symons and Paul Hancock, who had some previous first aid training with St John Ambulance Service, quickly came to help. Luckily, Les Cotils is also the base for St John Training, so moments later St John Training Manager Steve Ford arrived in the café and immediately started CPR, and used a defibrillator. Mr Denton started to regain consciousness in minutes, and was "waving around a £20 note" trying to pay for his bacon sandwich while being wheeled into an ambulance. "Fortunately I had some fantastic help, and collapsed in front of two first-aiders who knew what they were doing, and who quickly got help," said Mr Denton. "Thanks to their efforts, I can resume a normal life." Jersey Police have arrested two men in connection with a theft from a bookmakers in the island. Officers say three men were seen arguing before one of them chased another with a knife. It happened just after 13:00 on Sunday, around the time £9,000 was stolen from Joe Jennings bookmakers in Cheapside. A 36-year-old man was arrested and released on police bail, while a 39-year-old man was arrested on Monday afternoon after a police appeal. Officers said it wasn't a planned robbery but an "opportunist theft". The most popular baby names were Sienna and Leo in Jersey last year, according to the annual statement from the island's superintendent registrar. Ava, Amelia, Oliver and Jacob were also popular choices for new parents. It is the first time the report which identifies a number of island trends related to births, deaths and marriages, has included a list of the most popular baby names. A nurse from Guernsey has been invited to speak at a Royal College of Nursing conference in the UK. It is the first time a nurse has been asked to speak at a national conference from a care home perspective. Sister Bev Herve was first appointed to undertake the joint role of sister and practice development lead at St John's Residential Home in August 2015 and immediately set out a plan to instigate new learning experiences for staff. She said many of the clients had "complex needs" so staff had been trained in health and safety, infection control and safeguarding. A double-decker bus crashed into the Liberation Station building earlier. Cardiac arrest survivor Rick Denton has thanked the paramedics and members of the public who saved his life. The former constable of St Peter insists a precedent will not be set if green fields in his parish are rezoned to make way for a housing development. John Refault supports plans from the States-owned housing company, Andium, to build 65 affordable homes on farmland behind the village bus stop. He says he doesn't think changing the island plan to accommodate the development will have "wider implications". "To make a change to the island plan, it does require to be able to demonstrate there is a definite need for it and we have more than gone beyond proving there was a definite need," he said. Residents in St Peter will be asked to vote on the future of the project at a parish meeting on Thursday evening. Guernsey's trees could be under threat from a serious disease that is killing ash across Europe. Ash dieback blocks the water transport systems in trees causing leaf loss, lesions in the wood and bark and ultimately the dieback of the crown of the tree. Andy McCutcheon, secretary of Guernsey Trees for Life, says it is hard to tell if the trees are affected yet as they "naturally lose their leaves in autumn but they will look for signs" as summer approaches. Rain should clear throughout the evening, and will be followed by clear periods and the odd shower. Winds will be moderate west to south-westerly. Tomorrow will be dry and bright at times. It will be breezy with cloudy spells and the risk of rain in the afternoon. In the first case of its kind in Guernsey a man has been sentenced to 10 months in prison for attempting to incite gross indecency with a child. Judge Russel Finch told Mike Pepperell, 52, who had communicated with what he believed was a 14-year-old boy on a dating app, that his messages were explicit and deplorable. 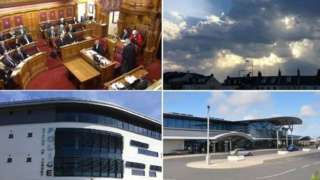 The court heard how a 25-year-old woman posed as a young boy on the app, and through a number of conversations and pictures Pepperell attempted to encourage the boy to come to Guernsey to engage in sexual activity. Pepperell, who had previously pleaded guilty, was sentenced to 10 months in prison with an extended two-year license after his release. Judge Finch told Pepperell that despite no prior convictions and his "good character" there was clear intent in his messages. He will serve his custodial sentence from the 19 December 2018.